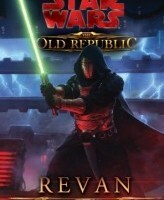 Drew Karpyshyn’s Star Wars: The Old Republic novel, Revan, is due to be released on November 15th, but if you can’t wait that long, check out this short excerpt from Chapter One, now available on the Random House site. In this teaser we meet the forbidding Lord Scourge on Dromund Kaas. A look at the Star Wars Insider Revan novel excerpt, focusing on how Revan’s character will be handled in SWTOR and the novel. This article contains SPOILERS for the 2003 game Knights of the Old Republic. Who is Revan? Everyone who has played KotOR (Knights of the Old Republic) has a different answer to that question. Like with Commander Shepard in Mass Effect and the Hero of Ferelden and Hawke in the Dragon Age games, Bioware’s interactive dialogue system lets the players define Revan in any way they please. How, then, can the non-interactive Revan novel satisfy every fan of KotOR? 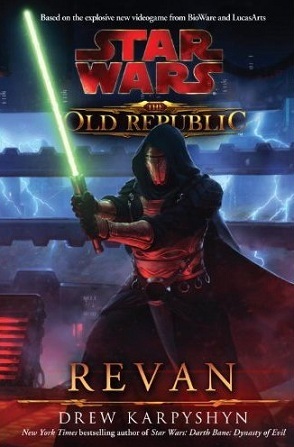 How can one defined character of a book convey the infinite possibilities of Revan? With the first excerpt of the Revan novel in Star Wars Insider magazine, perhaps our questions can be answered.